International Women’s Day provides us with the opportunity to celebrate the achievements and important contributions made by all women throughout history, and show our support for the women who encourage, inspire, and motivate us every day. In honor of International Women’s Day, we’d like to honor a few of our own, and express our appreciation for their hard work, their dedication to improving education everywhere, and their commitment to putting educators first. 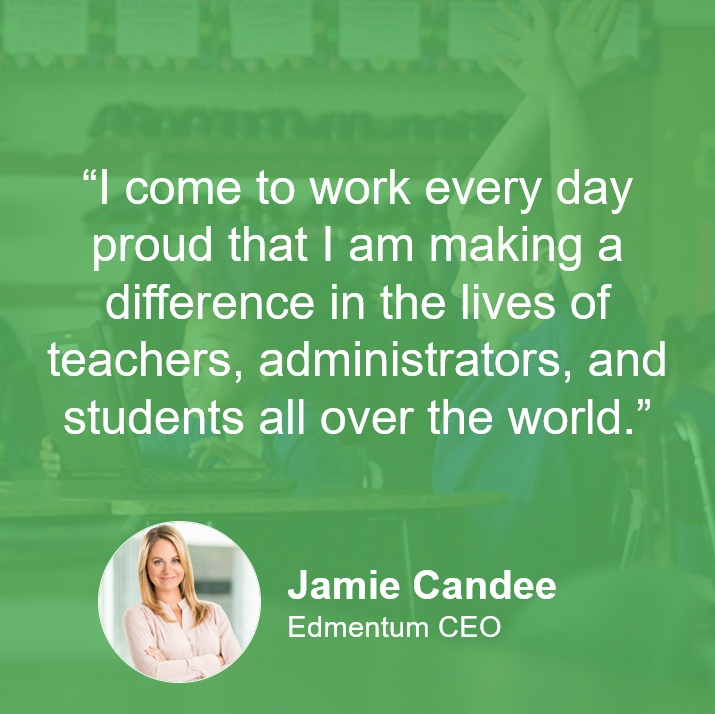 These four fantastic leaders at Edmentum share their drive, their secrets to success, and their advice for other women in business. What is your name and position at Edmentum? MT: I always knew that I wanted to be an educator. My mother was a first-grade teacher for over 30 years, and I saw first-hand not only the positive impact she had on students’ lives, but also how that impact often extended well beyond the classroom. I spent 14 years as a classroom teacher and school administrator, so when I was ready to leave teaching to take on a new challenge, I knew it had to involve both my passion to make a difference and the opportunity to positively impact other educators. CS: All kids deserve the chance to love learning and access the opportunities that an education can bring. I loved school and learning so much that I could have been a professional student my whole life! Instead I was drawn to teaching, where I could share my love of learning. As a teacher, I struggled with the disparity and inequity I saw around me and felt called to do something about it. So, I moved out of teaching and into EdTech, where I’ve dedicated my career making learning better for all students. CM: I have a passion for supporting development of others. I am in HR because I get to work with people every day around their growth and development. What is a great piece of business advice that you have received? MT: Sometimes, you have to go slow in order to go fast. Balance diligence and urgency, so you don’t have to go back later and solve for things that you didn’t take the time to uncover in the first place. CS: It’s not always easy, but don't take things personally. JC: The secret to success is how you develop. Self-assessment is an important part of leadership. Take time regularly to reflect, and ask yourself questions like, “What am I good at? What skills do I need to develop? What do I find hard? How can I better my position to reach my goals?” The art of self-assessment requires continuously taking a balanced look at both the good and the bad, and then turning that assessment into action. CM: Be a self-aware leader. A part of self-awareness is knowing that there are some things that I will never be good at, but it also ensures that I find someone on my team who is and can complement my skills as a leader. What motivates you to be your very best every day? MT: I love learning, and I am passionate about bridging the divide between implementation and outcomes. I am always thinking about how we can put the ‘Ed’ back in EdTech! CS: My main motivation is knowing I can get up today and be better than I was yesterday, and that what I do makes a difference and can create real change in our world. JC: I always try to live intentionally, and I’m motivated to be my very best every day because I love what I do. It doesn’t feel like work to me because I’m so passionate about what we are doing and the people that we serve. CM: Do what you love! I love helping to develop others. 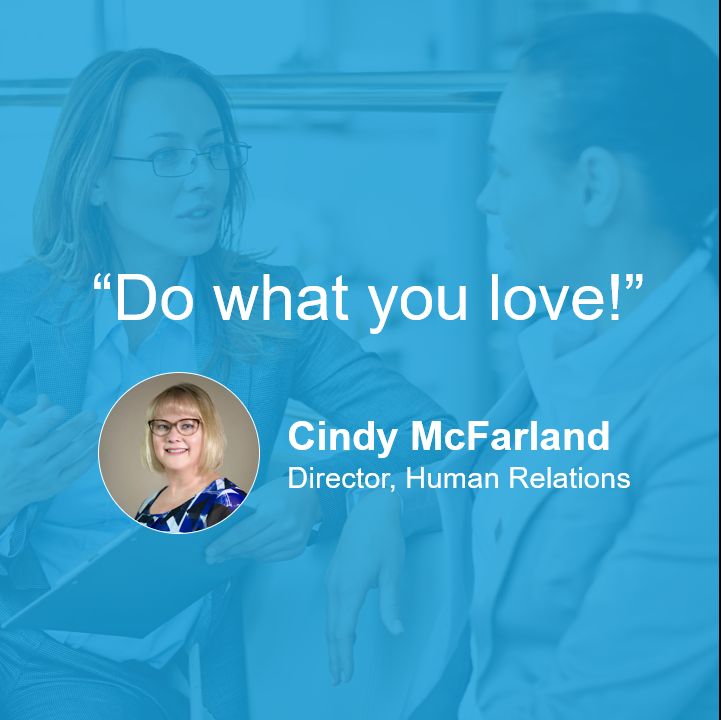 I don’t pretend that everything in HR is fun, but much of the time, I absolutely love what I do – which motivates me to do my best every single day. What advice would you have for women who aspire to grow into leadership roles? MT: Place a focus on learning something new every day and seek out other women you can learn from in the work place. I have had some amazing women who served as mentors and helped me along the way. CS: Don't give up, believe in yourself, and be yourself. You may have doubts or question yourself and that's all normal, but at the end of the day remember: you are worthy. Above all though, be a good listener, learn from other successful women in leadership, and support other women leaders at work and in your community. JC: Whether you want to start your own company or work for a company you love, I would encourage you to take risks and leverage your curiosity. This means exploring what interests you, volunteering in areas outside of your comfort zone, going out of your way to try to be a part of any initiatives you possibly can, and finding your fit by trying new things. Taking calculated risks and being bold in your choices will help you identify your unique path forward to success and happiness. If your accomplishments are not being noticed, don’t sit back and “hope” that someone notices. Rather, speak up and point them out when appropriate. Female leaders will be more successful if we support and encourage each other. Find a strong mentor, and when you make it in leadership, pay it forward. Happy International Women’s Day, from Edmentum!